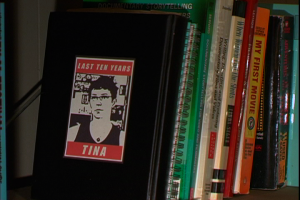 In part 5 of All’s Well and Fair II (2006 version) you find out what happened to Tina in the 10 years between us filming in 1996 and in 2006. This is a transmedia documentary so we want YOU to actively participate in telling the story! Share your thoughts via video response or comments. To get you started: Did you have any life-changing events during the time from 1996 to 2006? Our tip: Watch from the beginning to find out who these women are and why they’re discussing these subjects.